Through the years, Singapore’s life sciences and medical technology sectors have grown to become key contributors to its economy. In 2011, the biopharmaceutical industry helped to contribute S$22.8 billion of Singapore’s manufacturing output and employed 6,000 workers. While smaller, the medical technology sector has also witnessed sterling results, contributing some S$4.3 billion of output and employing 9,000 workers. The success of these two high-value sectors, is the result of strategic foresight, careful planning and generous support by the Singapore government. In June 2000, the Republic launched the Biomedical Sciences Initiative (BMI), with the aim of establishing biomedical sciences as a pillar of its economy. Spearheaded by the Agency of Science and Technology (A*STAR), the first phase of the BMS initiative – funded to the tune of S$6 billion - looked to rapidly build up research capabilities and infrastructure, attract international research and development (R&D) laboratories and increase the scientific talent available. The second phase of the BMS initiative (2006 to 2010) received S$13.55 billion in government funding, and focused on the better understanding of human diseases and translating this science for the clinic. The most recent phase (2011 to 2015) enjoyed S$16.1 billion in funding, and looked to support research programmes with greater healthcare and economic impact. Today, Singapore is recognised as a leading R&D hub for the pharmaceutical and biotechnology sector. In fact, more than 30 of the leading biomedical sciences companies in the world have chosen Singapore as a base for the R&D efforts and innovation. The Republic’s transformation into a leading biomedical R&D hub has been helped by the establishment of several new biomedical research institutes under the umbrella of A*STAR in the last 15 years. Besides helping to attract the right talent, these institutes have allowed Singapore to build up strengths in research areas, such as biomedical engineering; infectious disease and immunology; molecular cell and development biology; and stem cells and regenerative medicine. Besides research, Singapore has also established itself as a key base of pharmaceutical manufacturing. This success is a result of several factors, including the Republic’s strong physical and regulatory infrastructure, global connectivity and skilled manpower. Amongst the pharmaceutical majors which have chosen Singapore as their global production base are GlaxoSmithKline, Lonza, MSD, Novartis, Pfizer and Sanofi-Aventis. These firms operate multi-purpose plants, which are able to manufacture a wide range of active pharmaceutical ingredients (APIs), biologics and nutritionals. The Republic has also made significant inroads in the manufacture of biologics – a field where medicines are made from living cell. Baxter, Lonza, GlaxoSmithKline and Roche are amongst the companies which have announced investments to set up major biologics facilities, totalling US$2 billion in capital expenditure. 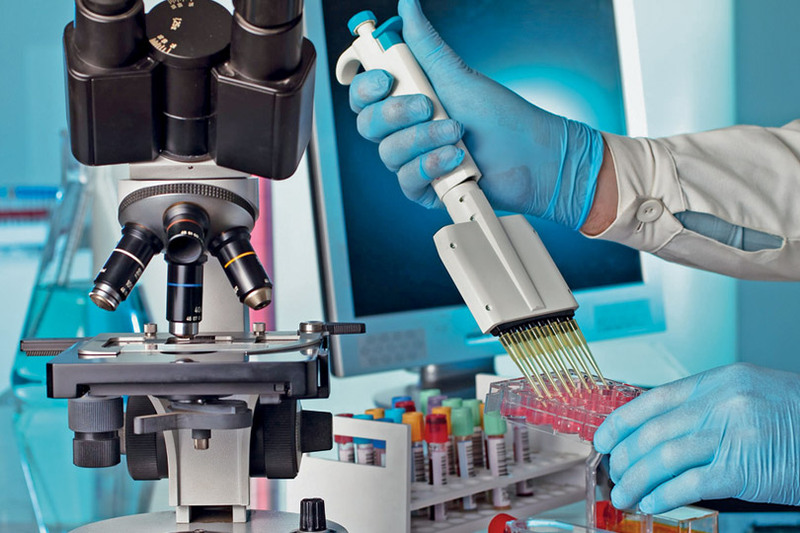 Besides biomedical science, Singapore is also home to a thriving medical technology hub. In fact, more than 30 medical technology companies have set up commercial-scale plants to produce medical devices for the regional and international markets. At the same time, there are about 25 R&D centres and close to 50 regional headquarters of leading Medical Technology (MedTech) firms in Singapore. Medtech players with the full set of manufacturing, R&D and headquarter functions in Singapore include AB SCIEX, Baxter International, Becton Dickinson, BIOTRONIK, Hoya Surgical Optics, Life Technologies, Medtronic and Siemens Medical Instruments. The medtech sector has seen rapid growth in recent years, almost tripling its manufacturing output from S$1.5 billion in 2000 to about S$5.5 billion in 2015. At the same time, the sector’s manpower base more than doubled from about 4,000 to 10,000 across the same period too. With its solid base of R&D talent, close proximity to the Asia Pacific market and strong public research support, Singapore has emerged as a leading innovation hub for the medtech sector. Speaking at the Asia Pacific Medtech Forum in December 2015, Minister for Trade and Industry (Industry) S Iswaran noted that medtech companies based in Singapore has made major moves to innovate and develop devices for the Asian market. Promising companies are also emerging from Singapore’s start-up ecosystem. This has been helped by a commitment of S$70 million under the Sector Specific Accelerator (SSA) Programme to encourage the formation and growth of medtech start-ups here. So far, four accelerators have been appointed to identify and invest in high-potential companies. Innovation for the medtech industry is not just confined to new products. Medtech firms here are also adopting new business models to address healthcare delivery challenges in Asia Pacific’s rapidly growing markets. For Medtronic, its Global Centre of Excellence (CoE) for Business Model Innovation in Singapore is helping to design, test and scale new business models that address market-specific needs and barriers in the region. This includes an innovative programme called the Health Heart for All (HHFA) initiative, which provides screening camps, patient education and financing schemes. Medtech firms also benefit from the strong sense of partnership between private and public sector players. In 2014, Singapore’s Eastern Health Alliance and Changi General Hospital partnered Philips Healthcare to pilot the first telehealth programme for heart failure patients in Singapore. The project seeks to help patients improve management of their condition and reduce the risk of hospitalisation through the integration of tele-monitoring, tele-education and tele-care. Such collaborations allow companies to create solution blueprints that can be scaled up for other markets. Singapore’s biomedical and medical technology sectors have truly grown in leaps and bounds since their beginnings less than two decades ago. That they have a thriving ecosystem today – with leading global players, research and development institutions, manufacturing capabilities, public sector collaboration, and a talented and capable workforce – is testament to the immense foresight, determination and support to enable its development.